Imagine you’ve grown up in a village, living in hunger and poverty. It’s all you’ve ever known. It’s like that now and it’s always been like that. The future looks like an extension of the past. Interrupting that thinking about what the future could look like is the silver bullet to what we do; we call it shifting the mindset. The Hunger Project is about helping individuals to shift into a mindset that says they can actually solve their own hunger…The first thing you have to do is get an individual to shift their behaviour, and if you get enough individuals to shift their behaviours then the entire village will change. The Vision, Commitment, Action workshop is the innovative technology behind The Hunger Project’s work in Africa and Bangladesh. This is the first – and most critical – step in our approach to creating sustainable and transformative change. Through this process, our village partners shift their mindsets from resignation and despondency to optimism and empowerment, so that they can see that they have the power and agency to end their own hunger. Addressing the entrenched attitudes and beliefs of our village partners is key to empowering them to become self-reliant, transform their lives and create a new future for their communities. In rural Africa, there is very little infrastructure. That means no hospitals, schools, or running water. Picture tiny dung huts set amongst thick jungle or dotting a vast desert. Each with their own over-used little plot of dirt on which to grow food. 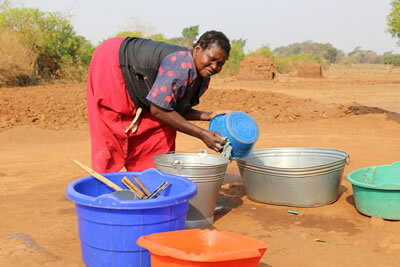 They could be hours away from a source of water—and even then it might not be clean. What does The Hunger Project do? Our Epicentre Strategy in Africa unites 10,000 to 15,000 people from a cluster of villages to create a dynamic centre, or “Epicentre.” This is where villagers are inspired to act to meet their own basic needs. At the physical centre of the Epicentre is a building that houses the community’s programs for health, education, food security and economic development and is a part of an integrated strategy. Alongside these programs, The Hunger Project delivers Vision, Commitment, Action workshops that empower our village partners to transform from waiting for hand-outs to confident, productive people who have created their own opportunities to feed and care for their families. This holistic strategy builds a path to sustainable self-reliance through four phases over about eight years. Imagine you couldn’t read or write and you were elected to local government. This really happens in India. There are schools without teachers, health centres without nurses, and locally elected leaders who are expected not to lead. Corruption and lack of accountability also create issues contributing to poverty… and a huge opportunity for breakthroughs. It is now mandated by law in India that one-third of all seats for village council leaders (panchayats) be held by women. However, the majority of these women are unprepared to participate due to a lifetime of subjugation, illiteracy, and very little experience in public, let alone leading a life in the public eye. What’s worse is that the people in power don’t want them to lead. They’d be happy if these women just “rubber-stamped” old policies. The Hunger Project has seized on this key change in India’s political structure. Since 2000, we have trained more than 83,000 of these elected women to read, write, speak and lead the political agenda to improve education, health, and nutrition in their villages. These women leaders have prevailed, showing amazing tenacity and achieving incredible results against all odds. They have succeeded in bringing water, health, education and electricity to their villages despite threats and brutalities. Bangladesh has a child-malnutrition rate twice that of Africa. Much of the reason for this is the severe subjugation of women and girls. It’s a vicious cycle. The suppression of women is particularly damaging because research shows that when women are empowered, all of society benefits—women do the most to improve health, nutrition and education. We have created initiatives that break the lifelong subjugation of women and girls. This includes Women’s Leadership training that provides intensive education in Gender Equality, and legal/reproductive rights to at least two women per village. 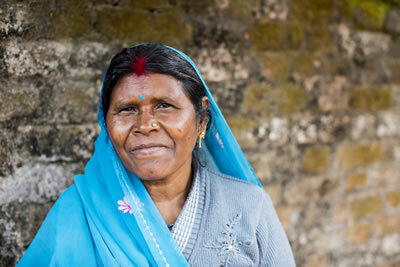 These women become a resource to all the women in their village. 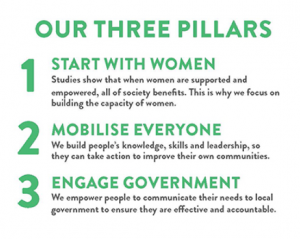 They also launch campaigns to halt domestic violence and child marriages to transform the environment so women and girls can flourish. 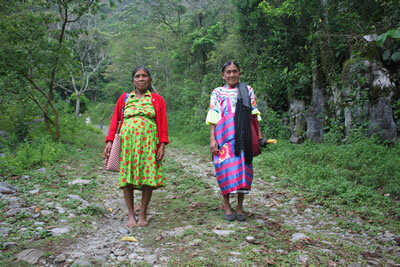 The Hunger Project is playing a leadership role in transforming the current situation for rural communities in Mexico. 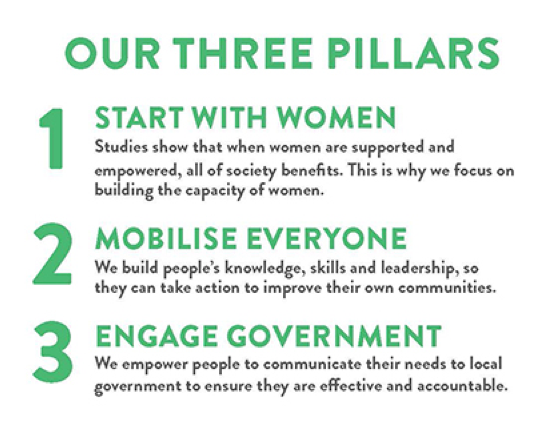 We are pioneering comprehensive, bottom, women-centered strategies for rural progress in four states in Mexico — including two of the poorest, Chiapas and Oaxaca.Through a phased approach, The Hunger Project Mexico starts with mobilising villages and communities through capacity building and Vision, Commitment and Action workshops. The Hunger Project has been active in Peru since 1997, and works in partnership with Chirapaq (Center for Indigenous Peoples’ Cultures of Peru), an organisation founded by Andean and Amazonian people in 1986. Chirapaq was founded under the principle of reclaiming indigenous identity through the valorisation and sharing of cultural expressions from their communities. Currently, The Hunger Project Australia does not fund any of our work in Latin America.